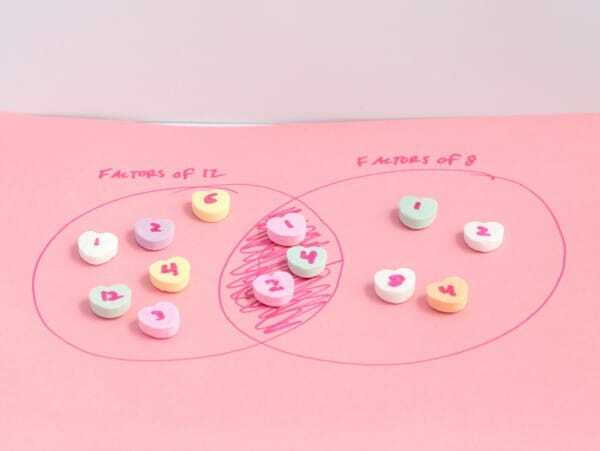 Kids can learn common factors between numbers in this super-simple, Valentine’s Day Venn diagram factors math project! Monkey is currently in fifth grade and learning all about multiplying large numbers, fractions, and finding common factors between numbers. 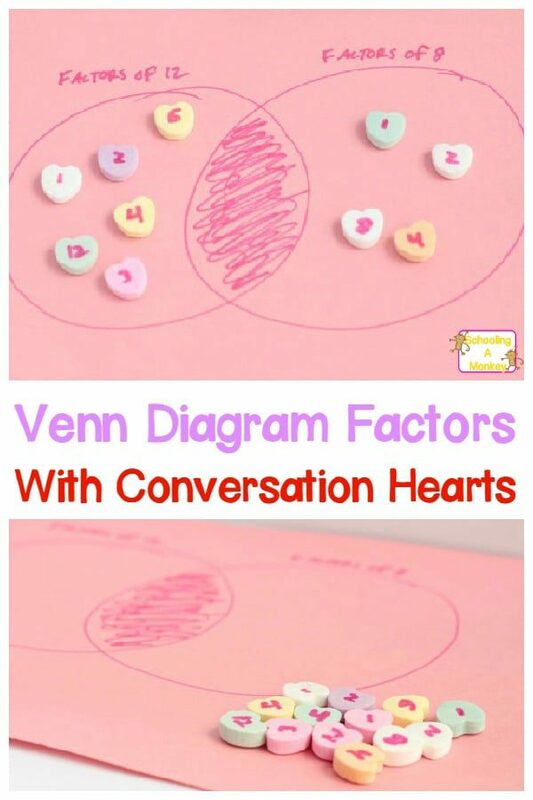 To give her more practice, I set up this fun Venn diagram factors assignment using conversation hearts. 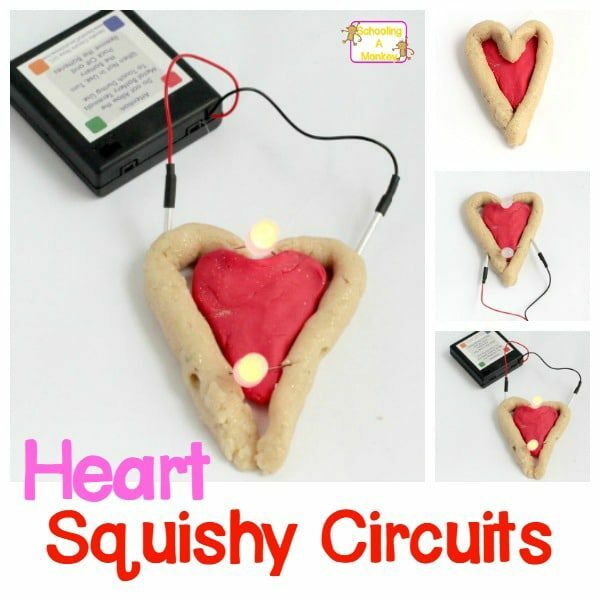 Using the hearts made the activity a lot more fun for her, and it was nice to be able to use some of the hundreds of conversation hearts that I usually just end up throwing out. 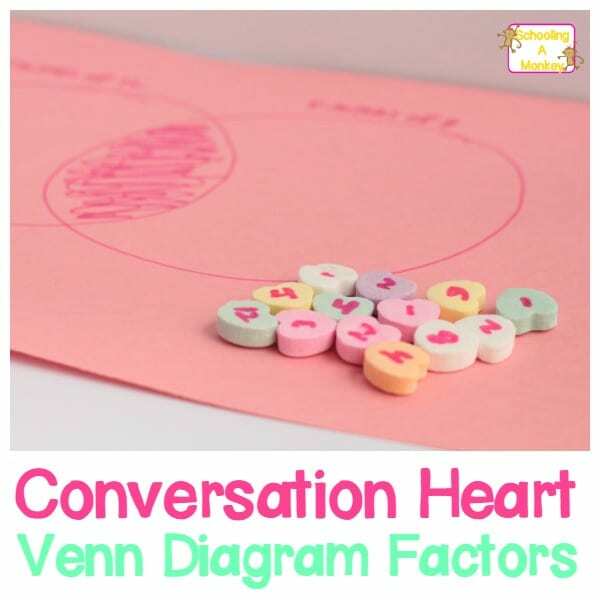 If your kids are also learning about factors and you want a math-focused Valentine STEM activity, try the conversation heart Venn diagram factors activity! 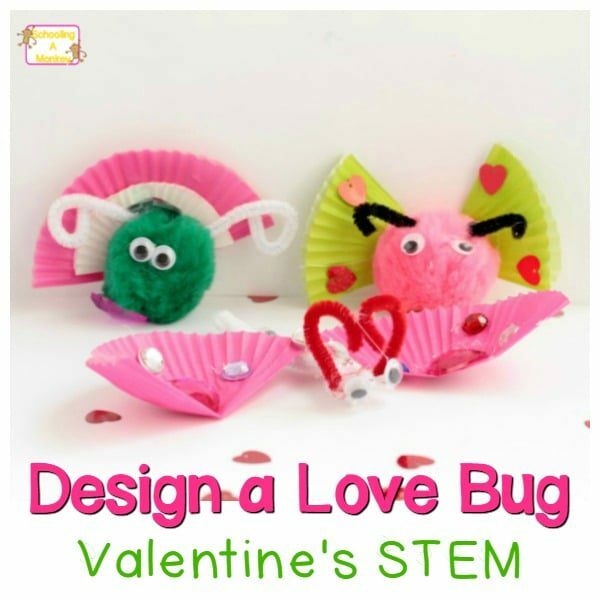 Learning about factors has never been so fun or love-themed! Setting up the factor experiment is easy. 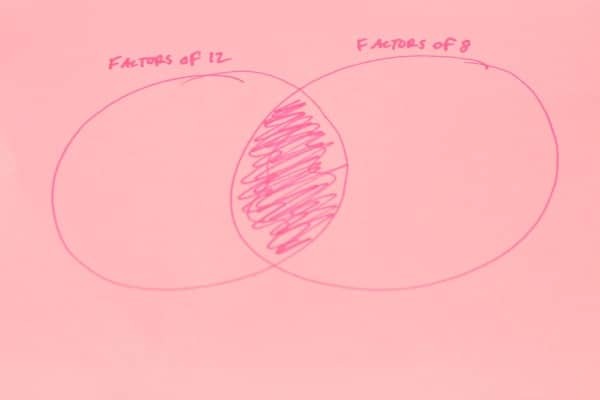 You just need to draw two overlapping circles onto a piece of paper. I colored the center of the circles where they overlapped to help Monkey see that where the factors aligned. 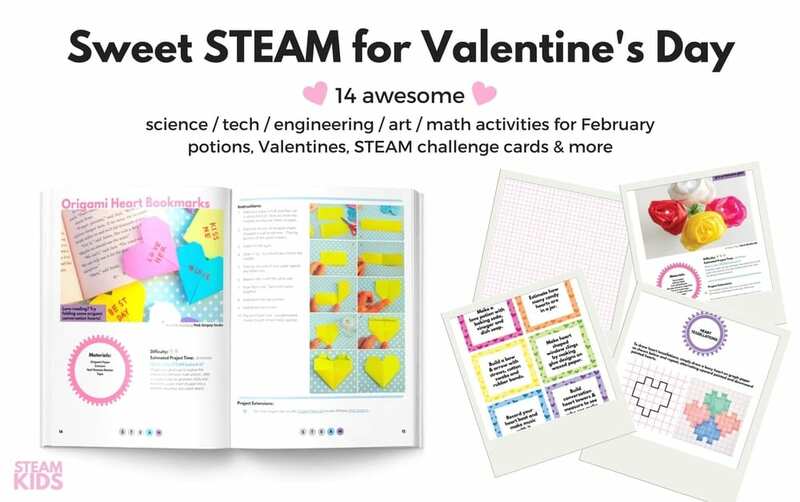 Next, we picked two larger numbers. 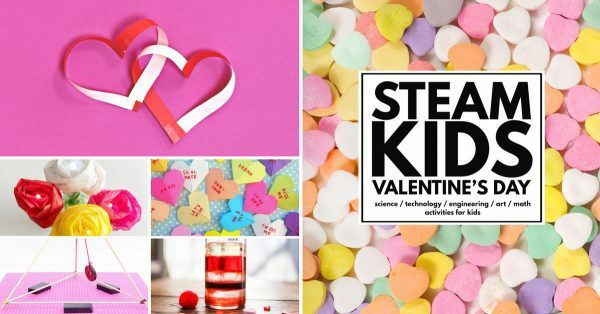 I made sure ahead of time that all the numbers we used had common factors with each other. You can use a common factors calculator to find this information out easily. 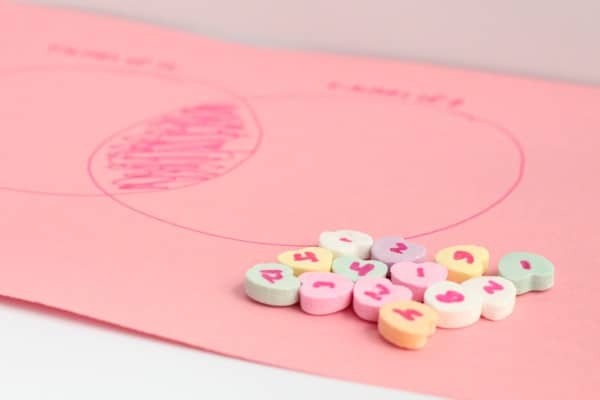 As Monkey remembered and calculated the factors of each number, she wrote that number down with a Food-safe marker onto the back of a conversation heart. She repeated the process with the second number. 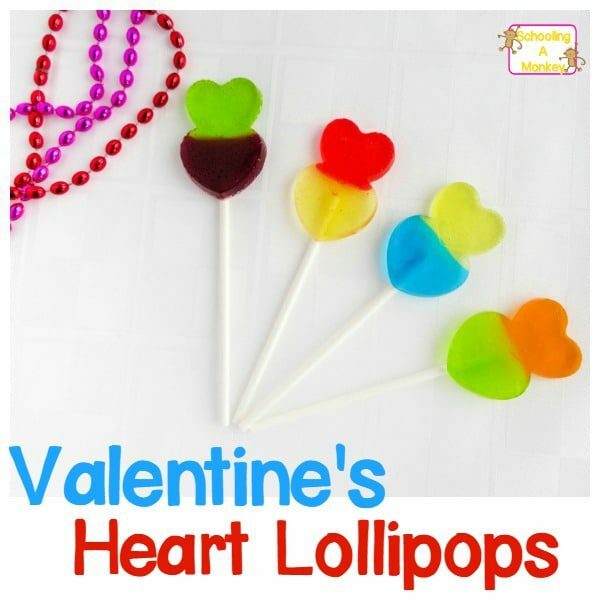 Then, she looked to see if any of the numbers on the hearts matched. 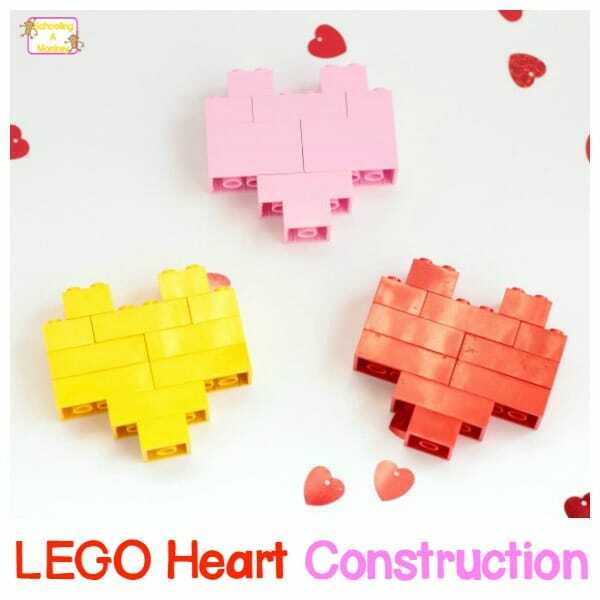 When they did, she moved them to the center. We repeated this process for about six different factor sets. By the end of the activity, she was much better at identifying which numbers were likely to have common factors than when we started.